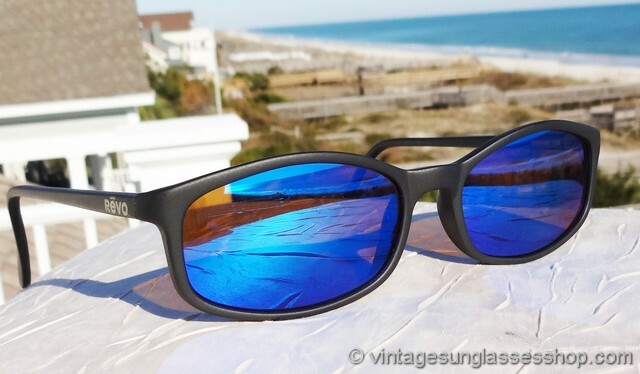 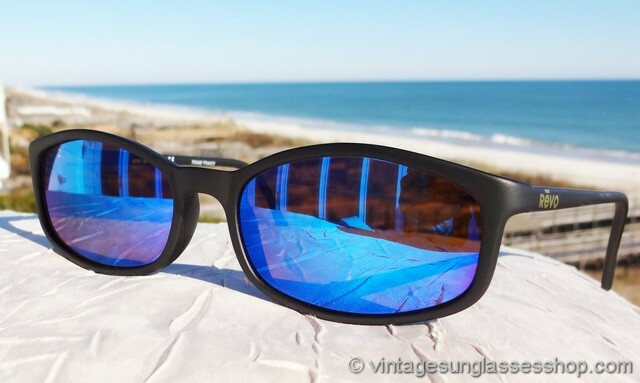 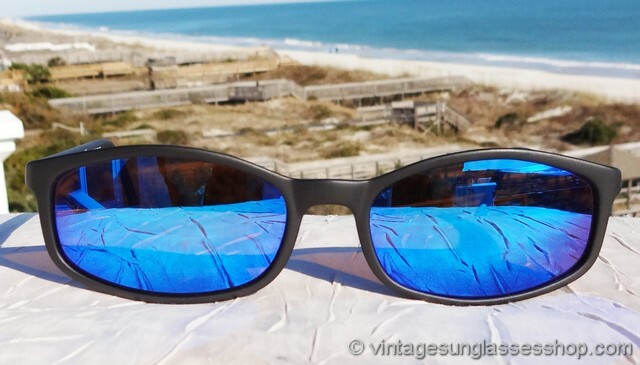 1 Vintage Revo 1010 001 Cool Look blue mirror sunglasses are a simple elegant style c late 1980s that make a great contrast between the matte black French composite frame and Revo classic blue mirrored lenses. 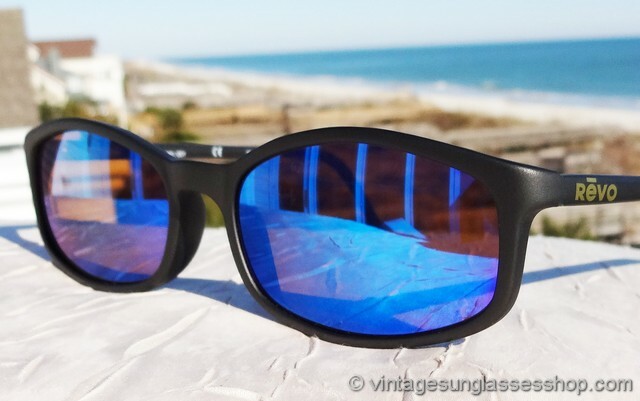 The rounded rectangular shape of the frame and lenses is a much copied design, but we think the pairing of matte black and blue mirror is pretty difficult to beat. 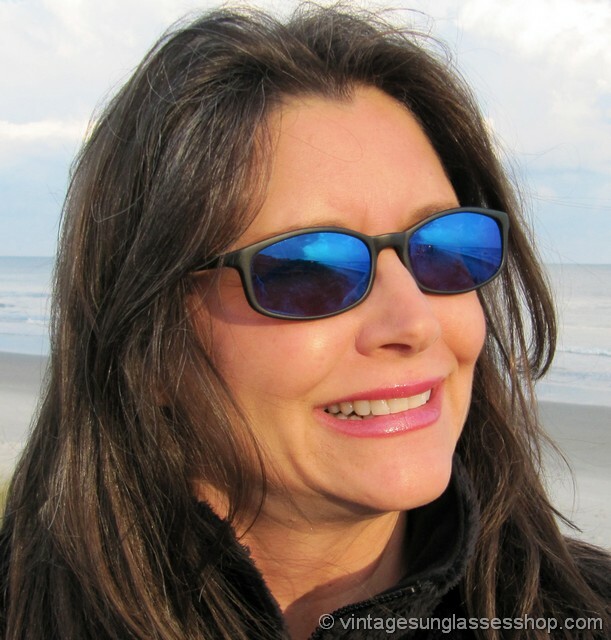 The Revo 1010 frame is a perfect size for men and women measuring approximately 5.25" temple to temple, and the lenses measure approximately 1.875" x 1.125" at the widest points. 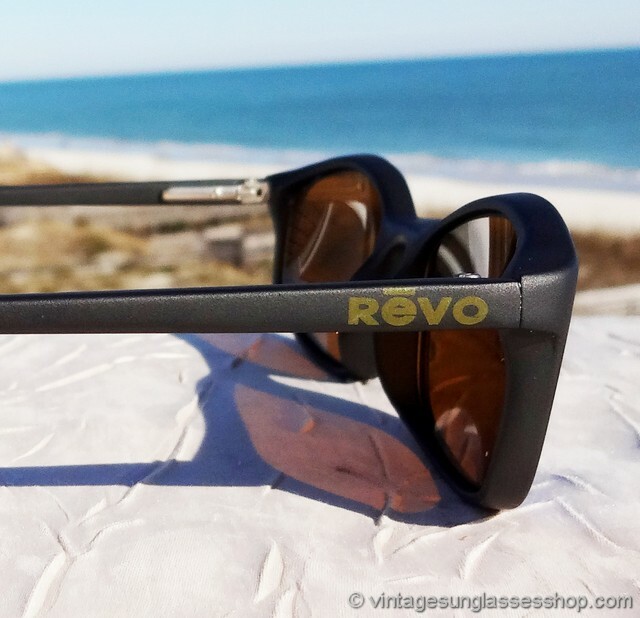 You'll find the Revo logo embossed in gold on the exterior of both ear stems, and the inside of one stem is marked 1010/001 CE Frame France. 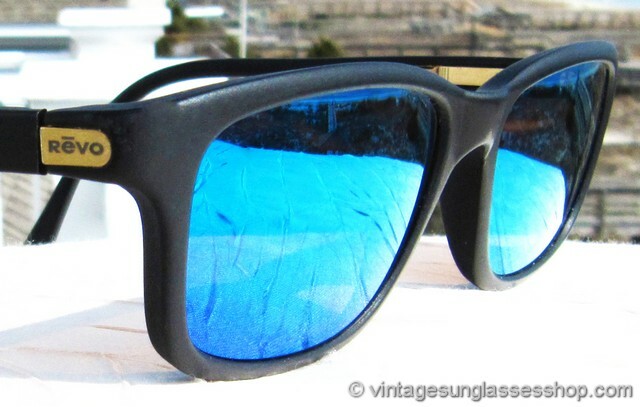 1A Step up another level beyond our already unequaled vintage condition standards with new old stock Revo 1010 001 Cool Look blue mirror sunglasses in mint, unworn condition. 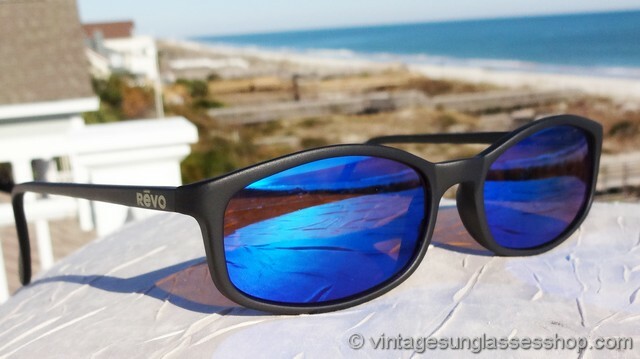 2 The earliest versions of Revo 1010 001 blue mirror sunglasses were identical in size and shape, and they were also identical in appearance except that the embossed Revo on the matte black ear stems was preceeded by Revo on a gold tab. 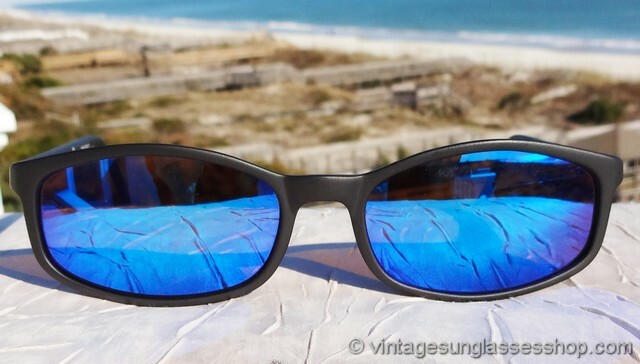 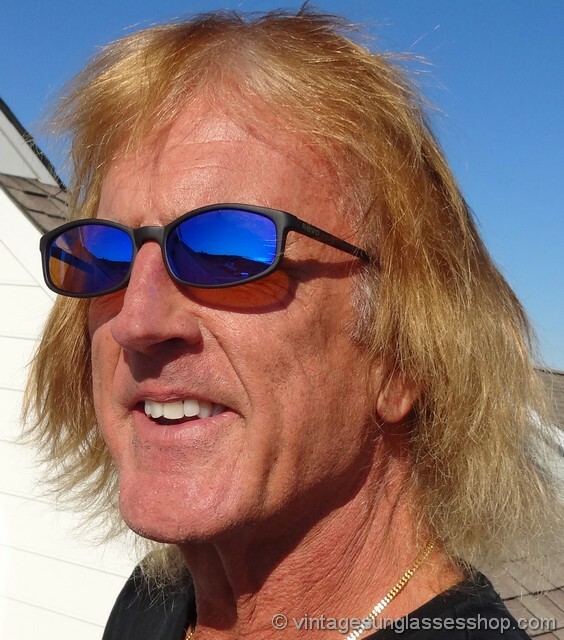 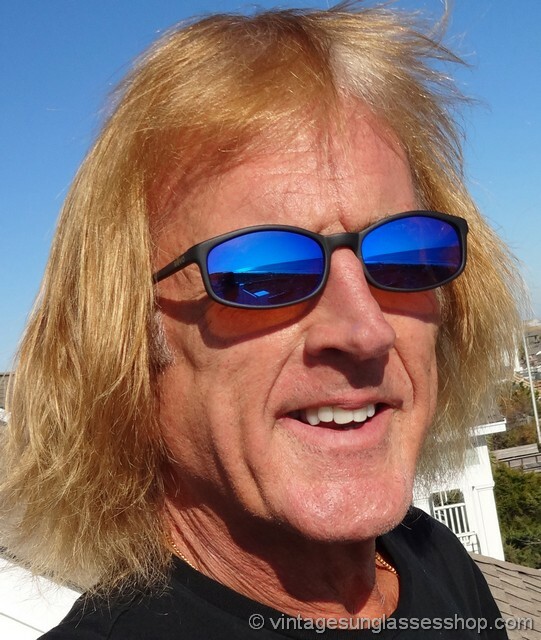 These Revo 1010 sunglasses were produced c mid 1980s and identical to those pictured below except for the gold tab which you can see here and here. 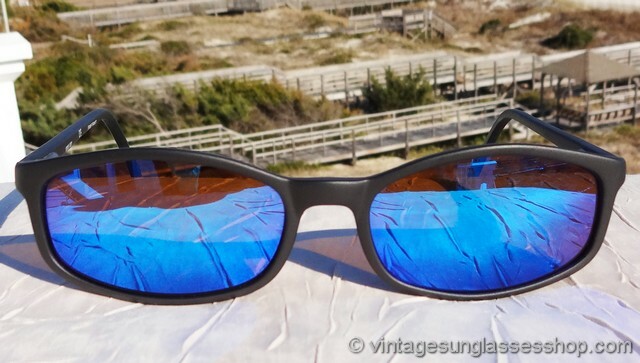 You also see this transition from the early gold tab branding to embossed branding in other early Revo styles such as the Revo 850 and 860. 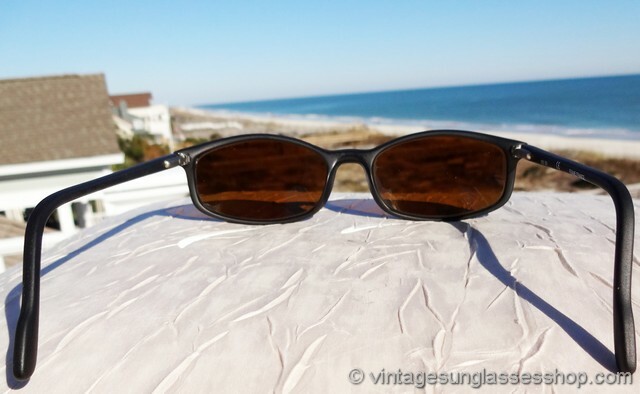 3 VINTAGE REVO 1010 001 FRAME ONLY SPECIAL! 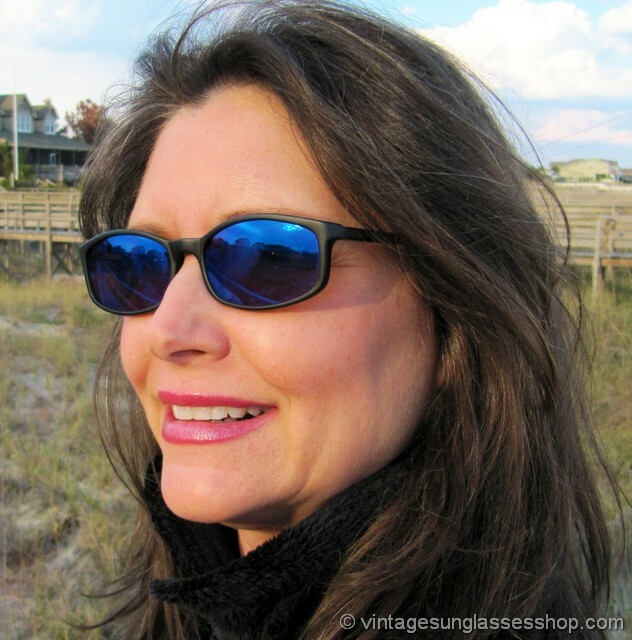 The Vintage Sunglasses Shop has acquired the world's largest remaining inventory of new old stock vintage Revo frames and original uncut plano (non-RX) Revo mirrored mineral glass lenses. 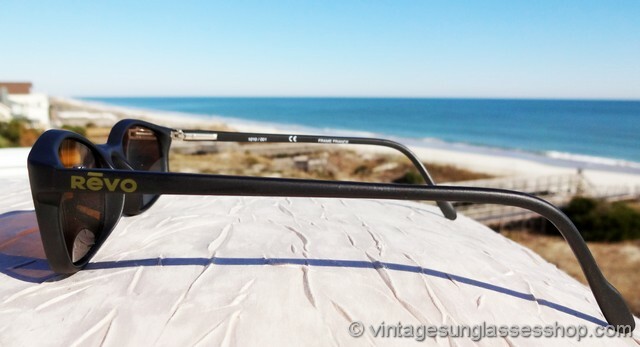 So it's a great opportunity to get some of the finest frames ever made during the glory years of Revo c mid 1980s - late 1990s, and here is a vintage Revo 1010 001 frame from that collection in mint, unworn condition. 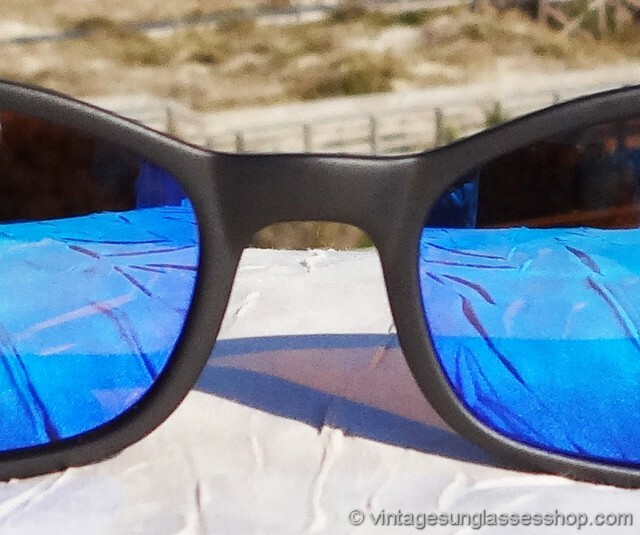 It's ready for glass or polycarbonate RX prescription lenses from your local optical shop or combine it with one of our uncut plano Revo lens blanks if you don't need eye correction. 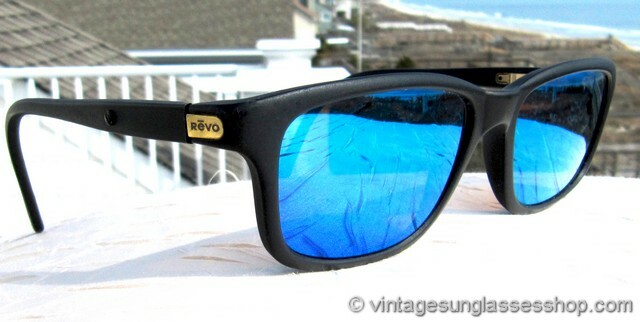 Includes the original black felt pouch right from the Revo factory.